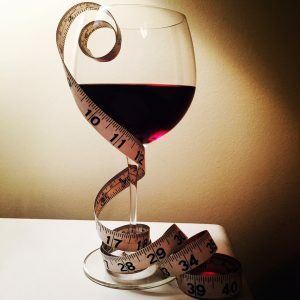 Ever wonder how you can continue to experience weight loss while still enjoying your alcoholic beverages? As a personal trainer with a history of bar management, as well as many years of bartending under my belt, I know many secrets on how to enjoy your happy hours and nights out without packing on the pounds and more importantly, without waking up with a thumping headache! They go hand in hand! RULE #2: Sugar is the DEVIL! Not only does sugar pack on the pounds, but it also is the culprit of hangovers. Many people blame their hangover/headache on drinking too much… but really it’s drinking too much of what? SUGAR! Of course beer and wine hangovers are also sugar related… overdo either and you are consuming way too much sugar. If drinking hard alcohol, drink it on the rocks. If that isn’t easy for you, avoid the extra weight and hangover by choosing “smart mixers” with your alcohol. Mixing with club soda or water is a great way to cut calories. Squeeze in some fresh citrus for a touch of flavor (lime, lemon, grapefruit, orange)… Even Bloody Mary’s can be a smarter choice over a juice or soda mixer. Tomato juice isn’t high in calories and also helps with hangovers. RULE #3: Metabolism STOPS by the 3rd round! 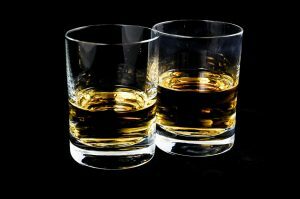 You are able to drink 2 alcoholic beverages before you put a stop to your metabolism. Because your body can’t store alcohol and must metabolize it right away, other metabolic processes suffer. Your body won’t metabolize sugars and fats as efficiently during the metabolism of alcohol, and drinking heavily can cause your metabolism to slow. 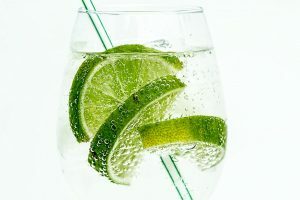 The savvy skinny drinker finishes one cocktail, glass of wine or beer, and then has a “mocktail” — a nonalcoholic, preferably zero-calorie beverage (like sparkling water with a lime) that looks like the real thing. This strategy not only reduces the risk of over-consuming alcohol, but it also helps you stay hydrated so your head will thank you in the morning! When alternating like this, you consume 4 beverages, and only 2 of them are alcoholic and I bet it’s time to call it a night. Hope these tips have come in handy. 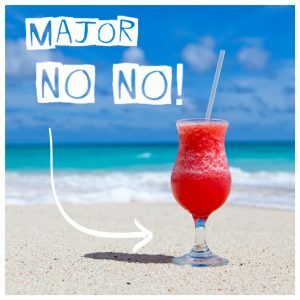 Above all, avoiding alcohol or consuming it in moderation is always key to both weight loss and better overall health, but people are social and life is life… so be smart, moderate and hydrate along the way!